As much as I enjoy cookies and milk, I have to admit that I tend to lean towards cookies and coffee. I tend to drink more coffee than milk, although I do put steamed milk into my coffee when I’m making lattes and such, and it’s hard to beat the way that hot coffee can soak into a dunked cookie – especially when chocolate chips are involved. This variation on an oatmeal cookie brings the cookie and the coffee together, infusing some espresso right into the cookie dough. I used instant espresso powder in this recipe because it’s an ingredient I always have on hand and it gives a great, bold coffee flavor to things. Instant coffee powder will work, too, but might not have quite as strong a flavor. Coffee extract, if you have it, is a good substitute for the instant espresso powder and is also a great way to boost the overall coffee flavor in the cookie if you want to go stronger. These cookies are quite buttery, so they bake up to be a little bit thinner than some other oatmeal cookies. The trick to getting them to turn out just right is to make the balls of dough smaller than you might otherwise (smaller than I usually do, anyway) and flatten them slightly with your fingertips or a spoon before baking so they bake and spread evenly. The cookies are slightly chewy in the center and very tender overall. The coffee flavor isn’t too assertive and serves to highlight the flavor of the chocolate chips. In a small bowl, dissolve instant espresso powder in water. Set aside. In a large bowl, cream together butter and sugars until light and fluffy. Beat in egg and vanilla extract, followed by espresso mixture. In a medium bowl, whisk together flour, baking soda and salt. With the mixer on low speed, gradually blend the flour mixture into the butter mixture. Stir in rolled oats and chocolate chips. Drop rounded teaspoonfuls of dough onto prepared baking sheet. Flatten slightly with your fingertips and leave about 2 inches between cookies to allow room for them to spread. Bake for 11-14 minutes, until cookies are golden around the edges and set in the center. Cool for 2-3 minutes on baking sheet, then transfer to a wire rack to cool completely. 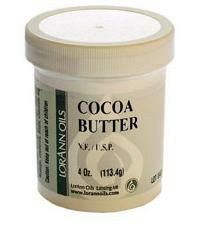 Previous PostPrevious What is cocoa butter? Forgot to add excellent post. Looking forward to reading the next one! Yum! A few of my favorite things…all in a cookie! I absolutely LOVE your blog- so happy to have found it! This recipe made a ton of delicious cookies that I shared with friends…everyone loved them even a self-proclaimed coffee hater. Thanks for adding the extra baking tips. Made these exactly like you suggested and I was thrilled (and shocked) when mine turned out looking exactly like the beautiful picture on your post. Love your blog! Would have never thought to put coffee in oatmeal cookies…these look tender and chewy, like the perfect oatmeal cookie should be! What an amazing cookie, chocolates + coffee into one.